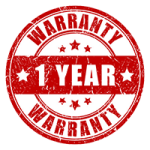 File a Warranty Claim | Lakeside CNC Group, Inc.
222 William Street, Bensenville, IL 60106, U.S.A.
Before filing a warranty claim, please peruse Lakeside CNC Group, Inc.’s warranty terms and conditions. You will receive a confirmation receipt by email. Your claim appears on our Customer Support Portal, where you will be able to track the progress of the claim. Lakeside CNC Group, Inc. warrants that all products sold or repaired by Lakeside CNC Group, Inc. shall be free of defects in material and workmanship under intended use. Products that have failed during the warranty period must be returned to Lakeside CNC Group, Inc. for inspection and repair. To file a warranty claim, please fill up the form below. 222 William St, Bensenville, IL 60106, U.S.A.
Mon-Fri, 7:30 a.m. until 5:00 p.m.